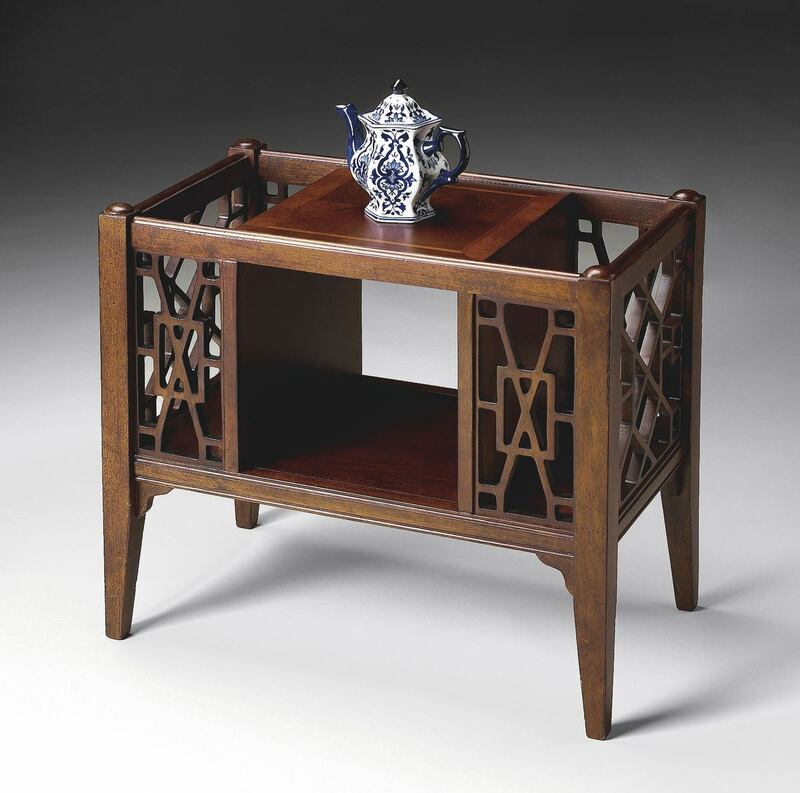 This Chinese Chippendale-inspired magazine basket combines abundant function with stunning good looks. Hand crafted from select wood solids and wood products, it boasts magazine/book storage slots on either end and a centre storage cubicle for an array of household articles. Features a cherry veneer centre top with maple veneer inlays and cherry veneer end grain border. This Chinese Chippendale-inspired magazine basket combines abundant function with stunning good looks. Hand crafted from select wood solids and wood products, it boasts magazine/book storage slots on either end and a centre storage cubicle for an array of household articles. Features a cherry veneer centre top with maple veneer inlays and cherry veneer end grain border. Finished on all sides.